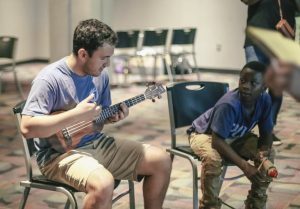 When the third edition of Inspired Arts wrapped up in July 2018, it had served 135 students between both Madison and Tuscaloosa, where Bolton held her first camp in June 2018. 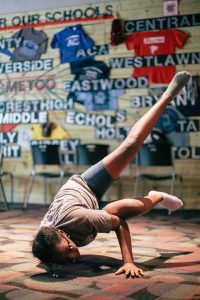 After three years of using musical theater, drama, dance and art to unearth creativity and positivity in children, she’s discovered firsthand the wisdom elders often impart to youth: do what you love. Bolton found campers through one of her professors, Dr. Tania Alameda-Lawson, associate professor of social work at UA and director of Alabama TOPS, an out-of-school research program in Holt. UA students like Amelia Volpe and Jamie McKelvy joined and taught classes, and First United Methodist Church offered its grounds for classes and performances.High school and college students with backgrounds in various arts power the Inspired Arts staff each year. The Madison edition of the camp also has established connections with restaurants and dance studios. Bolton’s ambition to start a camp this year in Tuscaloosa meant working the phones for meal and venue sponsors, camp instructors and participants. Read more in UA News.